This time of year, everything is pumpkin. Pumpkin lattes, pumpkin soup, pumpkin beer. And while I occasionally indulge (especially in the pumpkin beer category), I tend to stay true to the classic- pumpkin pie. The first time I tried my hand at making a pumpkin pie from a pumpkin and not a can of Libby’s it was a complete disaster. A fiasco, if you will. I’m not sure if it had more to do with the fact that I forgot to add spices to the pie or sugar to the whipped cream, but the pie was a bust. It made matters worse that it was the first time that I cooked dinner for the Turcottes, so the failure was amplified. Let’s just say that I was mortified and Meredith cried. This time around it was slightly less dramatic. 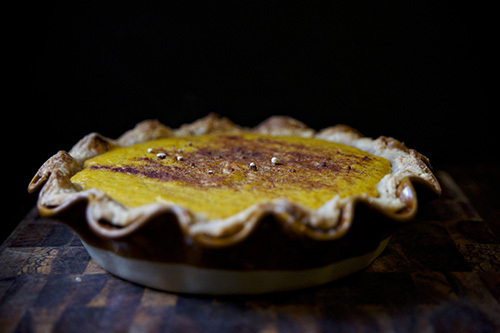 I opted for a filling that included buttermilk, Greek yogurt, brown sugar, and a lot of spices and the result was a fresh and tangy pie that was a different take on the classic. Traditional enough to earn a place on your holiday table but unique enough to make it stand out from the crowds. Heat oven to 350F. 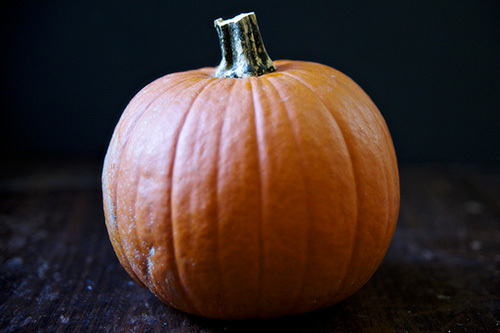 Halve and gut pumpkin. 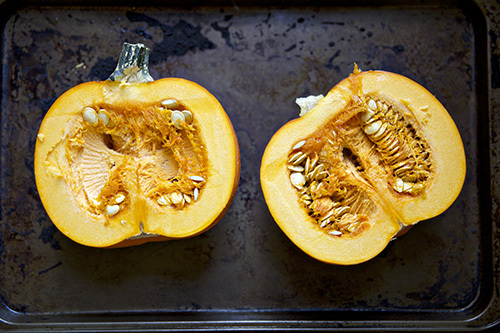 Roast pumpkin, skin side up, for 35 minutes or until tender. Let cool. Heat oven to 425F. 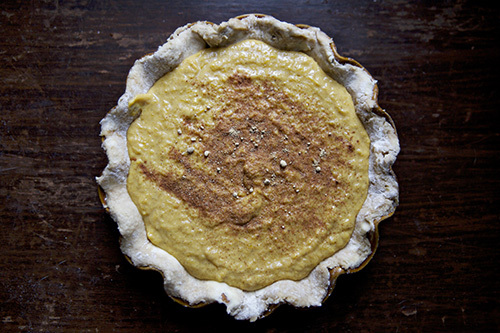 Mix together pumpkin puree, buttermilk, yogurt, sugar, eggs, and spices. Roll dough out and press into pie dish. Transfer filling into dough and sprinkle with ginger, cinnamon, and nutmeg. Bake at 425F for 15 minutes and then drop heat to 350F. Bake for an additional 35-40 minutes or until mostly firm (it’s okay if the center jiggles a bit). Let cool and serve with spiced whipped cream.